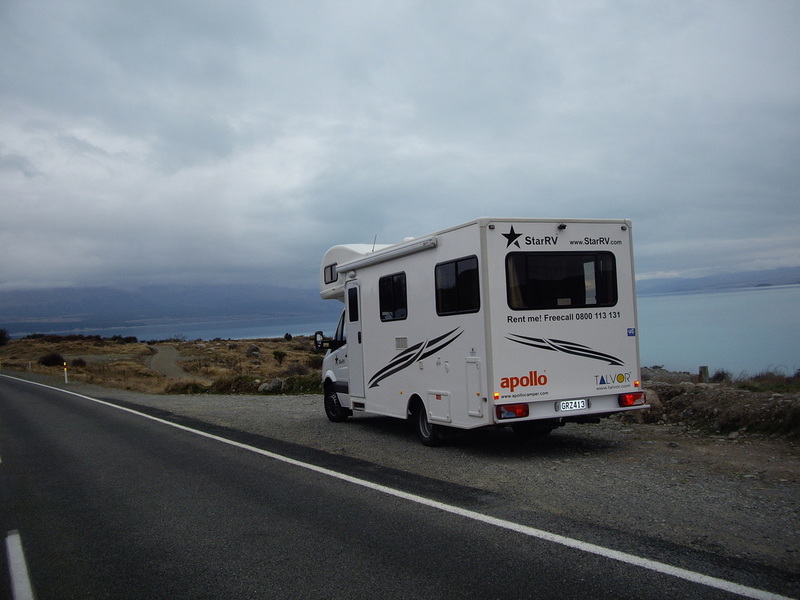 We hired our motorhome from Apollo in Christchurch. From the very first moment we became involved with Apollo we were impressed by their helpfulness and fantastic customer service. When we arrived in Christchurch to begin our adventure it was quite late so we stayed for one night at the Airport Hotel. The next morning Apollo were there at our hotel to pick us up and transport us to their depot to collect up our motor home. There seemed to be hundreds of vehicles of all sizes in their yard. Elizabeth was looking after us and as well as having a very easy going, friendly nature she was really helpful in giving us advice on many fronts including where the closest shopping center was and some great places to see. The motor home was a six berth Mercedes, in magnificent condition, almost brand new with less than 10,000km on the clock. Everything you needed was supplied including linen, fully equipped kitchen, microwave and flatscreen TV. Inside the motorhome was super spacious with seatbelts for 6 people, but because there was only two of us we chose to leave the rear bed down permanently. Despite being twice the height and three times the length of our normal vehicle it was easy to maneuver, even into McDonalds! The vehicle drove like a dream! And being Diesel to our surprise was very economical. The little heater that was provided kept us snug and warm at night and the linen that was provided was more than adequate. Having your own motorhome is such an advantage: you don’t have to have a rigid program or follow any rules and you certainly don’t have to stop all the time as you do in bus trips. I loved the flexibility to do what I wanted to do – after all it was OUR holiday. Parking was never a problem. We always managed to find a place to park even if it was a little further to walk it was very acceptable and the exercise was welcomed. What an amazing holiday this was, certainly one to remember for a lifetime! It certainly won't be the last time we have a motorhome holiday and after our fantastic experience with Apollo, we wouldn't go anywhere else.